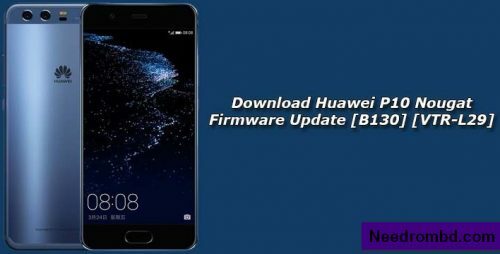 Huawei P10 Android Nougat Firmware Update is now available to download. The ROM packs with the latest Android 7.0 Nougat firmware which is based on the latest EMUI 5.1 OS. The update is an official build and files are uploaded on official Huawei server. If you want to flash stock B130 update on VTR-L29 or want to update VTR-L29 to latest Nougat firmware, then you are in right place. Here we provide you the Official VTR-L29 Nougat Firmware Update for VTR-L29. Download VTR-L29 Android Nougat Firmware from uper link.This Remember ! This Firmware file is only for Huawei P10 VTR-L29. Don’t try this on any other devices.